It turns out that my last review of external presence indicators (generically “Busylights”) was over three years ago, so with the arrival of the Kuando Busylight “Omega” recently I thought I should see what’s changed in both camps. (I should point out that the Alpha’s had a few upgrades since the original model above. It’s now in a more sleek black, and arrives with magnets integrated into the base for a quick ‘stick’ to your metal monitor stand, etc – and even ships with a matching little metal plate you can attach if your surrounds are non-ferrous. Or just use the provided double-sided tape to make it ‘permanent’). Answer/End Call. The Lync/SfB client’s hotkeys are a little complicated these days, hard-coded as “Win-Shift-O” to answer and “Alt-Q” (amongst others) to end – although for some the call needs to have focus for the shortcuts to work. Here you can create your own more accessible key combo that will either answer an incoming call or end the current one – regardless of what app has the focus. If like me your preferred keyboard is an antique IBM Cherry from before the Windows key was invented, this is perhaps a godsend! The Busylight is a silent beacon inoffensively broadcasting your availability to your surrounds. Seeing nature’s warning signal beaming from your desk or monitor should be sufficient to at least ensure they approach with caution. From a distance they don’t even need to get up from their desk if they want to come over: your presence indicator glowing something other than green should keep them at bay. Those of us who work from home stand to benefit here too – provided you can train the partner or kids to know that red or purple mean “shhhhh”. If your users have headsets and docked laptops (closed) using an external monitor, they’re not going to hear calls or IMs presenting to them when they’re not wearing the headset. You’ll also receive the same complaint from people who have a tower PC under their desk. (They’re still out there). Here’s where the Omega’s inbuilt speaker is a brilliant innovation: it provides an audible ringing indicator driven by its integration with the Lync/SfB client. As such it’s not actually visible to Windows as a sound device, and is thus immune to config problems that would otherwise render itself mute, accidentally trying to play website audio, or playback your voicemail messages. This also means you can set yet another sound device as the client’s “secondary ringer”, if you’re feeling so inclined. 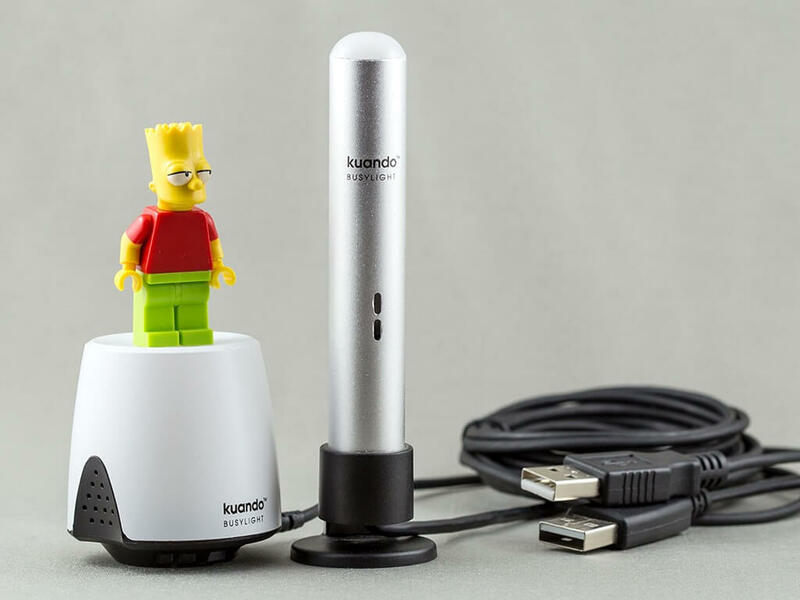 Yes, a dodgy $5 USB speaker will address the user’s key requirement, but (1) it’ll consume another all-too-precious USB port (and maybe a power outlet), and (2) leave you exposed to the Windows audio config headaches mentioned above – and trust me, there’s a world of pain just waiting to be endured there. Omega’s speaker with its larger physical size (compared to the Alpha) means its tunes are less ‘tinny’ and more able to carry in a busy office. 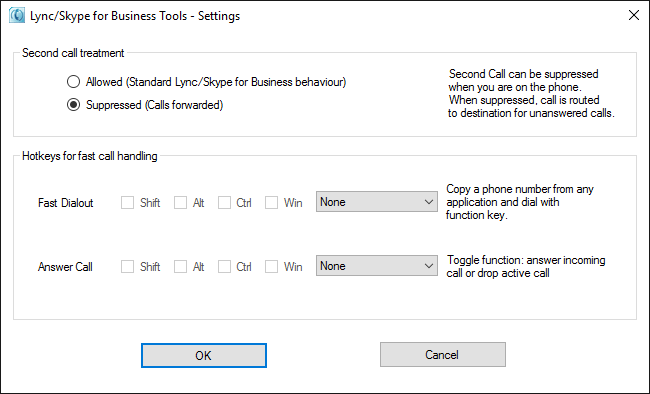 See the details in “Extra Lync / SfB features” above. In the Aussie market, both Omega and Alpha have an RRP of $AU62+GST (~$US52 @ .768), but of course that drops when you buy in volume. My review sample of the Omega was kindly supplied by Plenom through Auroz, with the photo from the always awesome OzRocky. I’ve had a comparison for the Embrava units vs the Kuando units sitting my my drafts for a while now. And while I’m a massive fan of the Embrava units. with the new Omega, local disties and some sweet software options with the Kuando units. I think I may be deploying more of these in the future. I’ve just installed a Busylight UC Omega, and find it way too bright. Do you know if it can be dimmed?